This project was a major collaboration with Studio Suss on the Teenage Dream Concept. Holiday House was an interior design show house from November to December 2017, in which top interior designers showcased their talent to raise critical funds for the prevention and cure of breast cancer. We were delighted to be part of creating the Teenage Dream Bedroom with other brands such as Sophia Webster and Richard Woods. 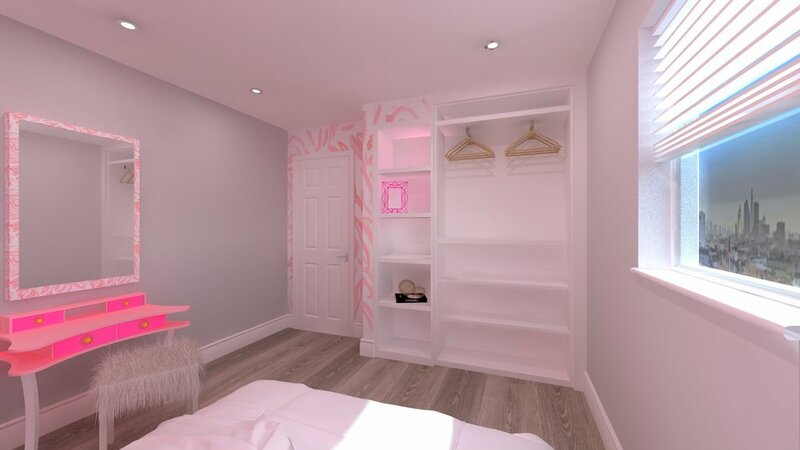 Our designer decided to go for white matt lacquered wardrobes with silver mirrored doors to reflect the girly colourful room. The wardrobes complemented the whole room and helped create a truly unique space.